Eric is sort of retired, at least from financial/facility/information systems management in government, corporate and non-profit organizations. 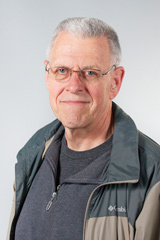 He has been adjunct faculty for over 25 years at community colleges in Oregon and Washington. Most recently he taught business math and computer courses at Columbia Gorge Community College (CGCC) (around the turn of the century) and after that algebra courses at Clark Community College. Eric has a Bachelor of Art in Philosophy from State University of New York Stony Brook and a Master of Business Administration from State University of New York Albany. His favorite grad classes were statistics and economics and his current interests include improving online education, minimalist running, roasting coffee, birding and DIY.